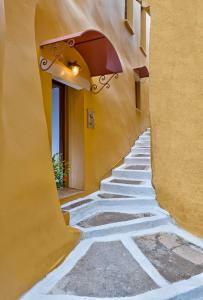 Lovely rambling apartment in old town Chania. Very quite area with many shops and restaurants nearby. Giannas was a great host. Everything was taken care of Promptly and with a smile. We ate at several of his recommended restaurants and he was spot on ! 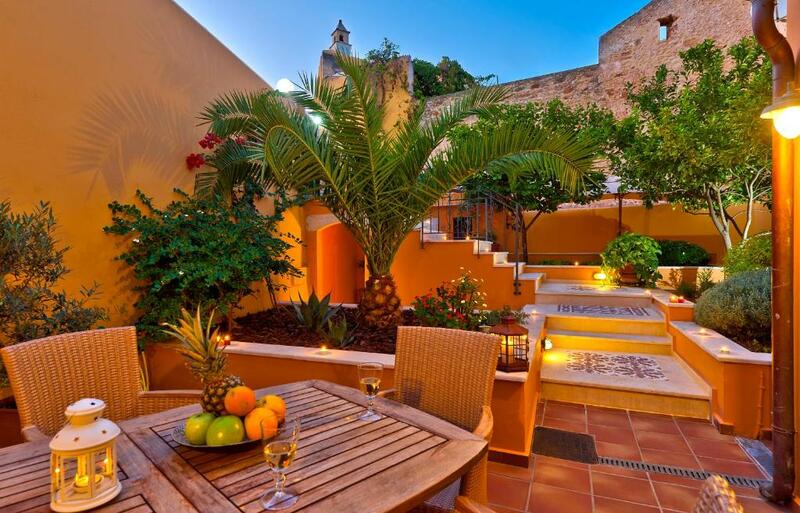 Beautiful patio, convenient location in old town, beautiful sunrises from upstairs bedroom, Giannis was super-helpful for anything we needed. The location was perfect, the garden in the back was beyond beautiful and the rooms were functional and clean. An amazing place, the apartment is far more beautiful then in pictures. A pleasure to stay right in the city center, with such beautiful view. Thank you! Quaint, spacious, multilevel apartment tucked in the heart of Chania. Beautifully but simply decorated. Walking distance to everything. Giannis was an accommodating, friendly, responsive host. My kids want to live there! This was the best value on any vacation rental I have made in many years. The space was sufficient for 7 people. The property was a 1st class renovation of an apartment/townhouse that was roughly 100 years old. 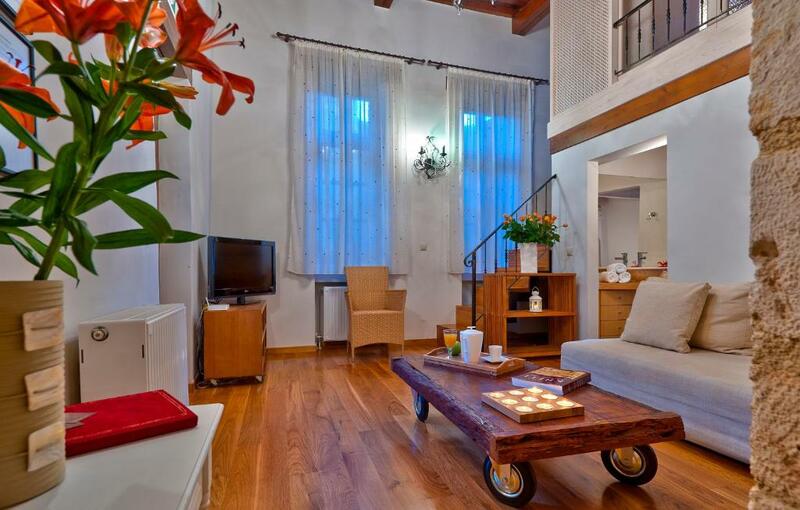 Gem of a property both tucked away and also incredibly central. We were a family of 4 but our house could easily have accommodated double - albeit tucked away in the cute little corners. great location, excellent living space indoor and outdoor. Outdoor space was a real bonus. Thank you Yianni! Lock in a great price for Kores Boutique Houses – rated 9.7 by recent guests! 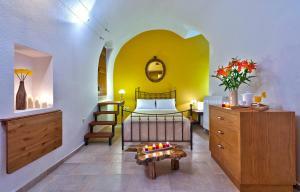 Renovated with care, Kores Boutique Houses are located in a quiet Chania neighborhood right next to the Venetian walls. 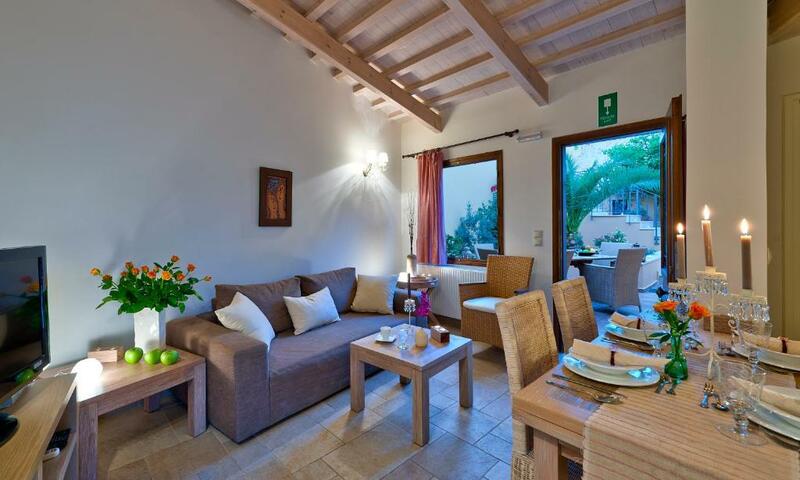 Set in 18th-century stone buildings, villas come with kitchens, dining furniture and a furnished seating area. 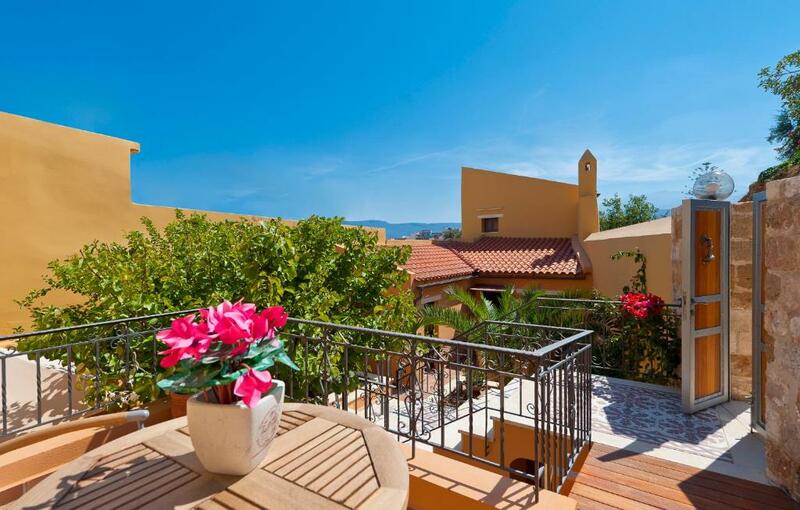 Filled with natural light, the villas feature private furnished courtyards and balconies with a view to the narrow streets, the mountains and the sea. Exterior bamboo furniture, sun loungers and an umbrella are provided. Kores’ location is perfect for exploring the old quarter and promenade of Chania. Lots of tavernas, bars, cafes and markets are walking distance. Staff at reception is available 24 hours a day and a free municipal parking is available close by. 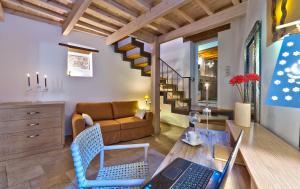 When would you like to stay at Kores Boutique Houses? • ground floor with the vaulted roof and bathroom. 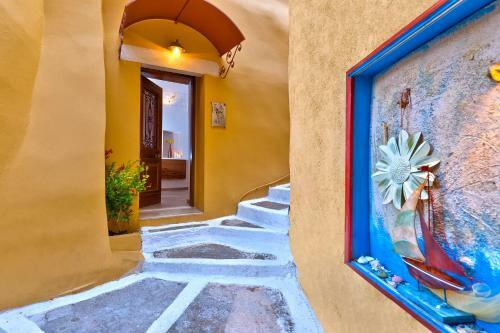 • Two spacious verandas with unhindered views of traditional backstreets, roofs and lofts of buildings, of the mountains in the south and the majestic harbor. Featuring a private garden with citrus trees, this luxurious villa is split among 3 levels. • second floor with the living room, dining room, kitchen, a bedroom, a den and a bathroom. • third floor with another bedroom and balcony with unhindered views of traditional backstreets, roofs and lofts of buildings, of the mountains in the south and the majestic harbor. House Rules Kores Boutique Houses takes special requests – add in the next step! Kores Boutique Houses accepts these cards and reserves the right to temporarily hold an amount prior to arrival. Being bitten by mosquitos! A dishwasher & microwave would have been helpful. Rental car parking is challenging since there isn’t parking in the old town. It was difficult to find parking in the area. Steep stairway going down to alley was difficult for my 83 year old father. But going out the other way worked great. Great location, great style, lots of space. 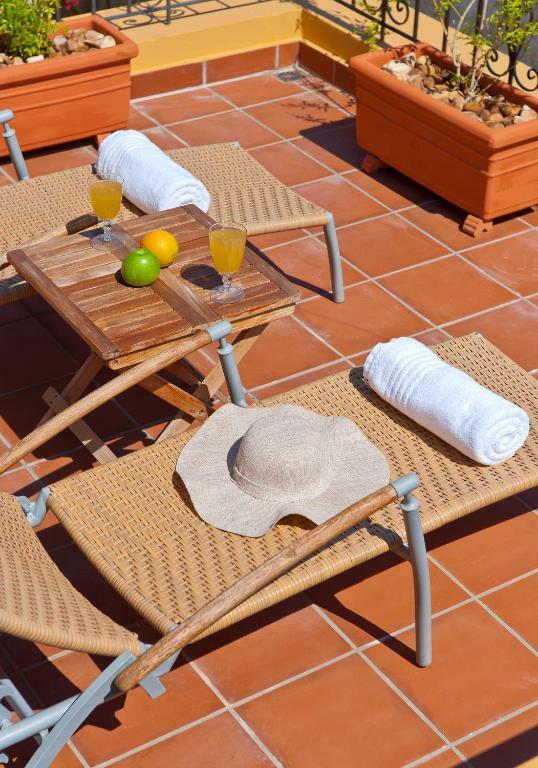 Small thing, put some cushions on the patio furniture. Location excellent, everything very comfortable. Everything is perfect! We had a very nice vocation at Chania. Thank you very much Giannis! Everithing was perfect, I love the place.